Our new Agency Search Checklist guides companies through the process of searching for agencies. 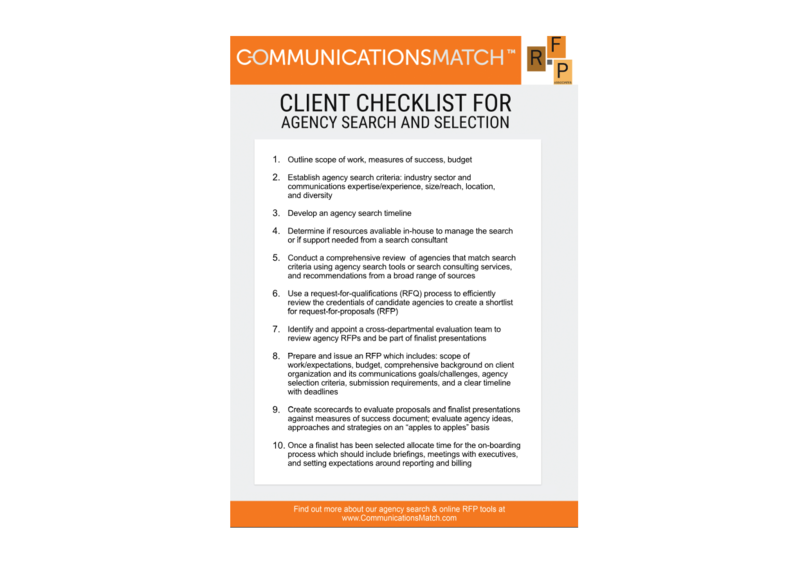 View and download the Agency Search Checklist. Developed by CommunicationsMatch™ and RFP Associates the checklist helps track key steps in the process of conducting a comprehensive search. Key elements covered include defining the scope of work, measures of success and budget. It also covers conducting a comprehensive review of agencies, using RFQs or RFPs to chose finalists for presentations and agency onboarding. Download the Communications & PR Agency Search Checklist pdf below.